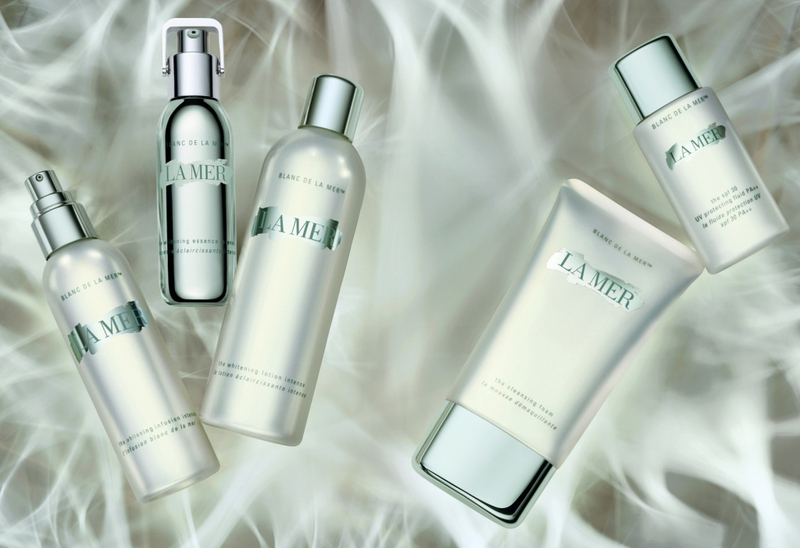 The rumor mill is in full swing as to launch dates and products related to the new Crème de la Mer Brightening Essence Intense, and many devotees, including myself, can not wait to get MY Brightening Essence Intense! Since my first report, La Mer counters the world over have been bombarded with questions about the new Brightening Essence Intense, resulting in some interesting scoops, one from Neiman Marcus being that the Blanc de la Mer range might include a Cleanser, Toner, Serum, and Moisturizer! "I wonder what's going to be different from the Asian version?". not available in the West. "At this point, women are at a higher risk for discoloration if they take anti-hypertension medication, which can heighten sun sensitivity, or estrogen, which has the same skin dangers as the Pill, says Fusco. As a result, doctors advise extra-vigilant sunscreen application during the day and soothing anti-aging brighteners at night". The Brightening Essence Intense (when released (and available)) will retail for $ 260, and will be in stores "sometime in February".